CES is so much fun! There are seemingly endless venues and halls with everything from record players to autonomous vehicles. There’s so much to take in, everywhere you look. For a truly unique experience, I have to say that walking through Central Hall at the Las Vegas Convention Center (LVCC) is simply amazing. It is absolutely mesmerizing to see the grand displays of technology that encompass this most exciting hall of the show. Whether it’s your first time through the hall or your hundredth, a true tech junkie can’t help but almost feel giddy when surrounded by all of the lights, sounds, and displays. Once some of the initial shock and awe start to settle in, it’s always so nice to visit those friendly faces at the booths in which we have developed a relationship with over the years. One of these companies for us is, without a doubt, TCL. From their press conference that kicks off the week on Monday at Mandalay Bay, to their booth at LVCC, we thoroughly enjoy our experience with them, every single year. We were fortunate to meet up again this year with our friend, product evangelist, Bruce Walker. 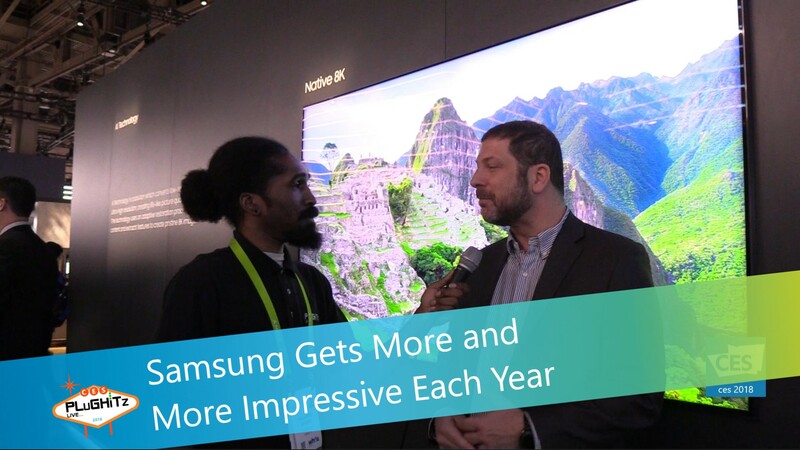 While we were perusing through their array of television sets, Bruce spent some time with us to discuss some of the newer technology that will be coming out soon. As was a common theme with most of the larger television vendors here on the show floor, 8K technology is ramping up for what appears will be a huge explosion into the market and our media rooms. And it probably goes without saying that the demos on the floor were quite impressive. 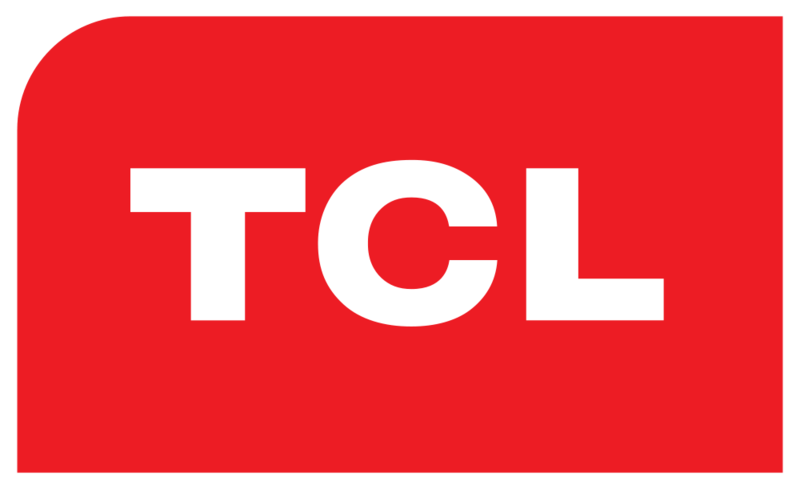 TCL is leading the way with bringing this new tech to us in a responsible manner. They are not trying to merely hit the market with these new sets, they want to make sure that their customers get the quality that they deserve from the number two retailer of television sets in the US in 2018. As we all know, just throwing together an 8K set is not enough because when they hit the retail stores, there will be extremely limited content actually available in 8K. That’s why they are including an up-conversion technology that will be able to handle the existing, lower resolution content and give you the best picture possible. Also coming up will be an enhancement to their Roku sets. Not only will they continue with this feature built right in, but it will be Smart Roku, connecting to other smart devices in the home and with voice recognition that will know your voice and interact with you conversationally with its four built in, directional microphones. It will be simple and easy to use. You’ll have a hard time deciding if that is your favorite feature or the 33 million pixels that offer up to a 300% improvement in picture quality. You can learn more about their existing line, and keep an eye out for these new releases, by visiting their website. We love being immersed in the Samsung Electronics booth at CES. If The Wall was the main attraction for 2018, it definitely had some competition in the booth. Also featured is the first 8K QLED TV in the world. And as if that’s not impressive enough, it also features AI technology. It’s this AI technology that elevates the standard definition content to an awe inspiring 8K resolution. Basically, the picture quality is transformed via a proprietary algorithm to transform any regular content to a high-resolution 8K. But Samsung did not stop here with this beauty of a TV. They also added several new really cool features, including detail enhancement, which not only upgrades the standard definition content but also adds noise reduction and has an edge restoration function to more clearly outlines objects on the screen. There is also automatic sound adjustment that differentiates between various content, like sporting events and music concerts. Also, your viewing experience will only get better over time with firmware updates that will upgrade the set with the latest improvements. So, the longer you own it, the better it’s going to get. One of our absolute favorite features is that they have made the initial setup as easy as possible. This TV is an extension of their expanded Smart Things platform and includes Bixby, which is their own voice command system. When you first plug in, the Bluetooth will automatically connect with your smartphone, which enables it to link into the Smart Things app and update your new TV with not only your network Wi-Fi password, but also bring in all of your existing streaming platforms, complete with those passwords as well. It will also automatically configure the remote control with the other remotes in the home, even the cable remote, so you will have easy access to everything from one remote. It’s the same with your gaming devices. You will now have full control of all of your entertainment, gaming and other Samsung Smart Things appliances right from your TV remote control. Imagine sitting on the couch and asking Bixby what’s in the fridge and also having the oven start preheating. Talk about living the dream! Samsung is looking forward to launch the 85″ QLED 8K TV during the second half of 2018. The Samsung Electronics booth at CES is always quite impressive. It’s a large booth with impressive visual displays. This year they outdid themselves as they introduced The Wall. 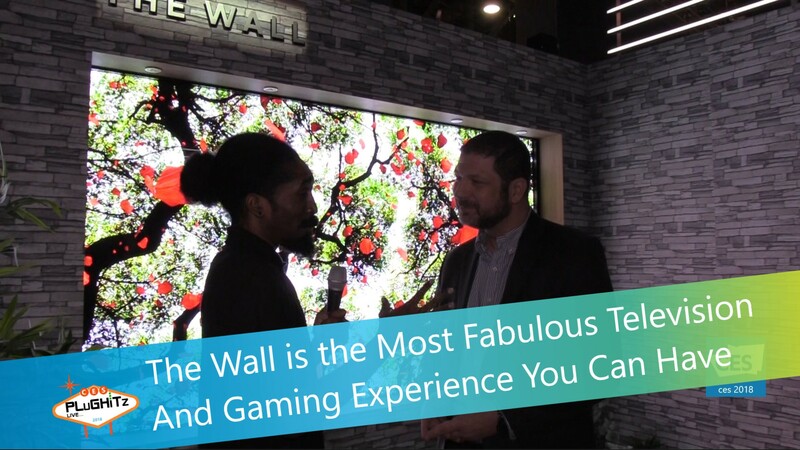 The Wall is the world’s first consumer, modular, self-emitting MicroLED 146-inch TV. This is brand new technology with pixels that are self illuminating, based upon existing Large Format Outdoor Digital Display technology. This has allowed an unbelievable 4k television for the home. The features are amazing. It can go to infinite black, has High Dynamic Range and brightness levels and contract that are unmatched. All of this with no image retention and no off angle viewing. The name, The Wall, is no stretch. At 146 inches, it was probably the most impressive visual in Central Hall this year, with the largest crowds in the building. But don’t let the size intimidate you. After all, it is modular. It’s comprised of a series of smaller screens, or tiles, that mesh together with no seam. Not only does this open up the possibility of multiple configurations in the future to fit any home/lifestyle, but it also makes delivery and setup much easier. If you live in a building with a small elevator or staircase, or would have trouble getting such a large box into the right room in your home through hall and doorways, there’s no concern with that here. Each piece is brought in separately and assembled in place, thus opening up this wonderful technology to more consumers. This large and impressive screen array has an incredible picture and would be a gamer’s dream. Although it would most likely take some getting used to, we’re sure that all the gamers we know would love to take a crack at it. This is concept that is not lost on Samsung, who is already partnering with Xbox. The Wall is expected to ship later in 2018 with exact pricing still to be determined. We all search for the best picture quality when looking to purchase a new TV, but now there is so much more that we want included in our sets. And Hitachi brings it with their line of 4k TVs with Roku built in. 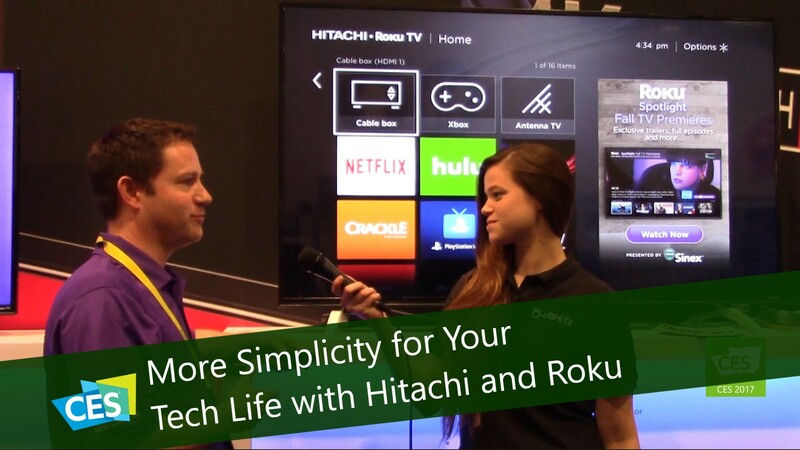 They bring together Hitachi’s hardware with Roku’s software for a truly amazing viewing experience. The sets are currently available in three sizes: 50″, 55″ and everybody’s favorite, the 65″. The line will be expanding to ten by the end of the year with sizes ranging from 43″ to 65″ with three different packages available. This gives everybody, regardless of room size or budget, the chance to own a TV with amazing picture quality and the luxury of all that Roku has to offer. That luxury, by the way, consists of over 400 channels and 450,000 movies and shows with a user interface that is extremely easy to operate. The basic package will come with a small and simple remote control for ease of use, while the next two tiers will include full size, advanced remotes, some of which include a headphone jack to make your lives so much easier when you are watching your favorite show and realize that somebody else in the room needs some quiet time. 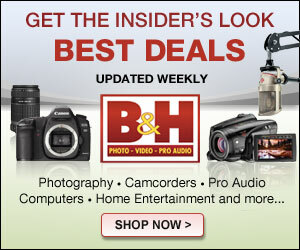 You can find the Hitachi line of 4K Televisions at Sam’s Club and other major retailers. There are numerous price points available depending upon which set you choose and from where. We found a nice selection starting at about $300 from Amazon, check them out and choose your favorite. 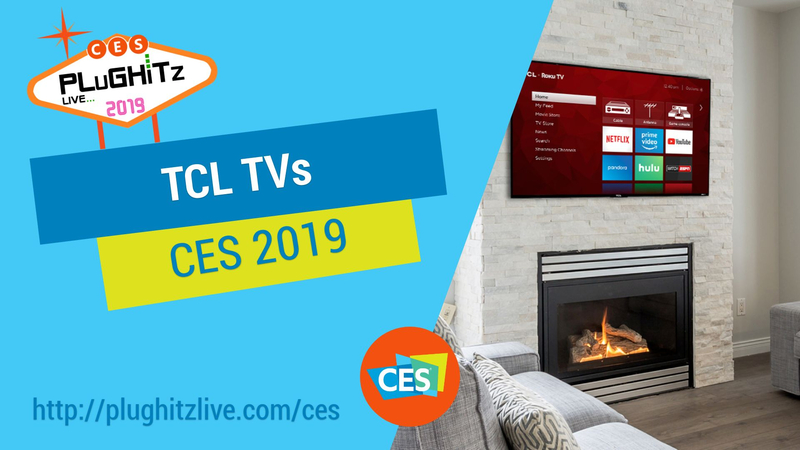 One of the things that were considered a “sleeper pick” in this year’s CES trends was 3DTV and gaming combining on the big screen in your living room. Up until now, the implementation hasn’t really been great and the technology used has caused eye strain for many who have used it. Luckily StreamTV Networks’ Ultra-D product looks to alleviate all of that with their latest announcement. Introducing a glasses-free 3DTV experience for gamers and TV-watchers alike. For the TV, standing in a certain spot isn’t required. The 4K TV’s cones overlap, giving 140-degrees of viewing angle, and comes in different sizes all the way up to 89″. You can also set the depth of the 3D, so for sports you can tune down the 3D effect but can turn it up when you want to. This is one of the few on the show floor where my eyes different hurt when I was viewing the TV. For gamers, the company has partnered up with a bunch of different game developers in order to create a gaming experience unlike any other. On that list of dev studios is Epic Games, who you may know as the creators of the Unreal Engine. The company also wants to target any developer who wants to use the Unreal or Unity engine and also wants to add in a 3D experience via the SDK. All five companies that have partnered with Ultra-D so far had the 3D up and running in 25 hours or less. The key here is the zero-latency method that is used in order to not frustrate gamers, especially those who play first-person shooters or other “twitchy” game titles. Game developers, like you, also hate lag. So to make 3D work, it’s all done through algorithms that create a real-time depth map of the camera that is already in place, leaving essentially no extra work for the developer. This conversion process causes 4 milliseconds of lag, however, the SDK eliminates the lag entirely. It just needs a little bit of information from the video game and puts little stress on the GPU in order to make that happen. If you’re a developer and want to get a hold of this, you can visit www.movebeyond3d.com. They are also working on launching some hardware in a style similar to the Oculus Rift, just to get it out there and get people to use it. Video games have come a long way since the days of blocky bits bouncing ’round on a cathode ray tube. The unrealized potential of gaming has always been to transport players to worlds otherwise unreachable in everyday life. And while game sound and graphics have improved a lot, those improvements are still stuck on a flat, two-dimensional screen. French developers Immersis are working on a new projector system that brings game environments out of that two-dimensional state and into an entire room. Scott had a rendezvous with Daniel from Immersis. Daniel showed off a miniature mockup of the full-sized Immersis projector and he explained how the Immersis system will consist of the full-sized version of their special HD protector that’ll work with either a console game system or computer to project the gaming environment onto all of the walls surrounding a player, putting that player right in the center of the action. Immersis is launching the product thru Kickstarter and the company has already reached its goal of raising $100,000 thru the crowdfunding site. Daniel believes that Immersis will be able to bring the projector to market by November of this year and that the retail price will be $2500.00. Interview by Scott of F5 Live for the TechPodcast Network. 3-D TV and gaming has been touted as the next big thing for years in consumer electronics. But the technology hasn’t ever really caught on. One factor that’s slowed the adoption of in-home 3-D is the fact that users have to wear special glasses to experience 3-D. StreamTV Networks hopes that its new Ultra-D product will become the standard for in-home 3-D displays. 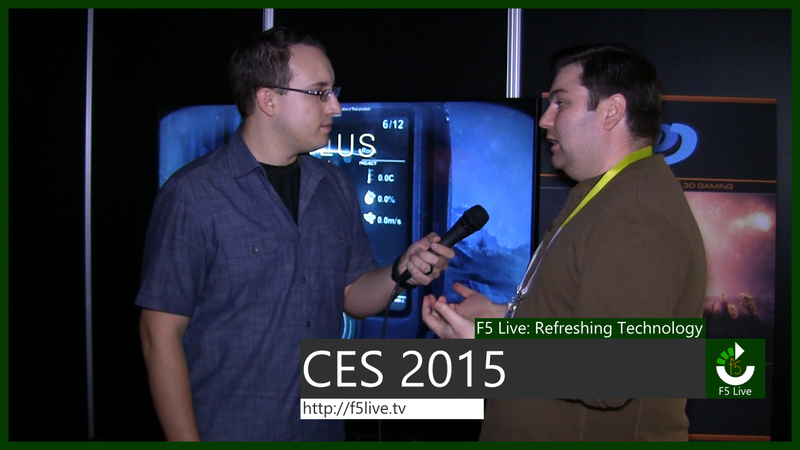 Nick spoke to Zach, Games Director for StreamTV Networks. The pair talked about the company’s Ultra-D offering. StreamTV Networks has partnered with multiple game developers, including Epic Games, makers of the Unreal gaming engine. Zach explained that Ultra-D is a glasses-free 3-D system that uses a blended lenticular design that works with a 140-degree viewing angle so it looks great from anywhere in the room. (When a viewer moves out of the range of 3-D, the picture changes to a standard 2-D display.) 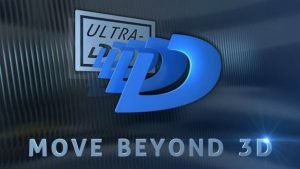 Ultra-D is currently only available to developers but it’s likely to make its way to consumer products soon. Interview by Nick of F5 Live for the TechPodcast Network. 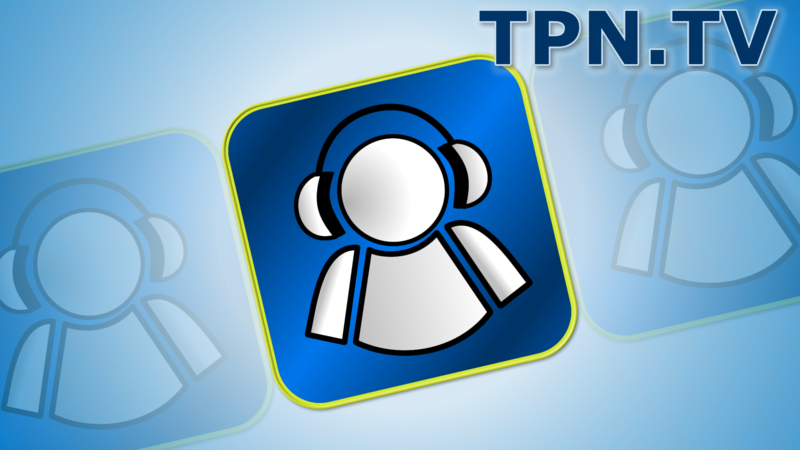 Each year the TPN team picks 10 companies that our team feels are deserving of a TPN pick. The awards are for what we feel is cool at CES and excites us the most. This years 10 picks are exceptional.